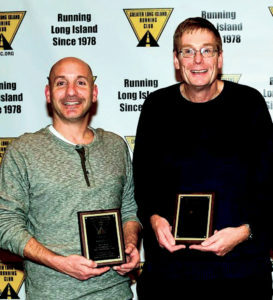 John Stauber of North Massapequa shares the awards stage with Clydesdale 185-199 Champion Ken Olson of Bethpage. 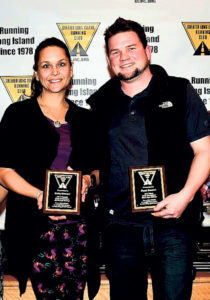 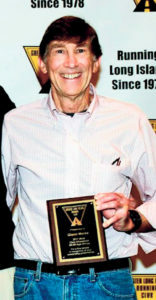 Congratulations to local athletes Lisa Sala of Massapequa Park, Kelly Demeri of Massapequa Park, Ryan Demeri of Massapequa Park, Sherry Bellovin of North Massapequa, Glenn Morse of Massapequa, Sherry Bellovin of North Massapequa, and John Stauber of North Massapeua, each of whom was presented with an award at the Greater Long Island Running Club’s Awards Night on Dec. 19. 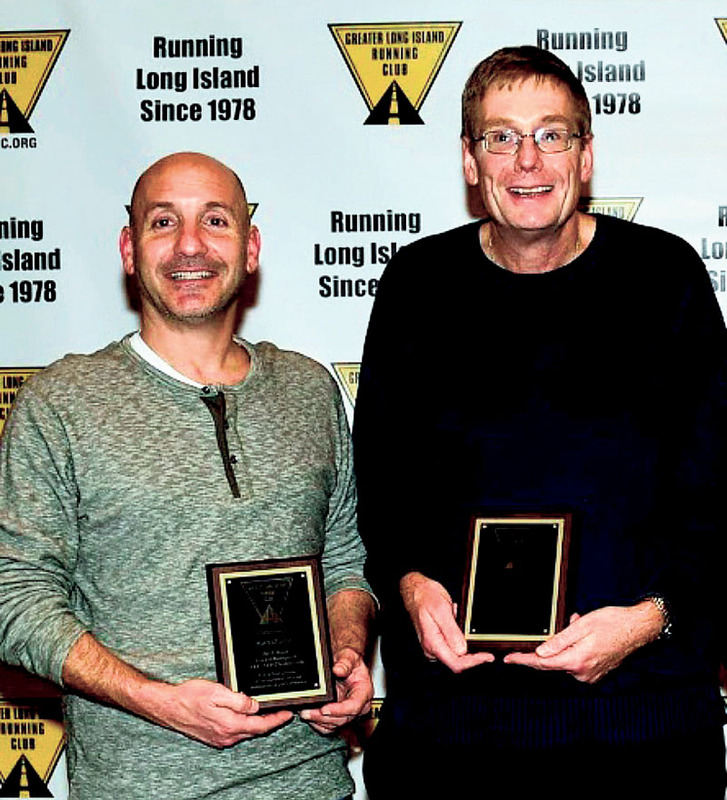 The Awards Night was held in the Auditorium of the Plainview-Old Bethpage Public Library in front of a near capacity audience. 2017 Club Champion in the Women’s 35-39 age group, Ryan Demeri was the 2017 Club Champion in the Men’s 30-34 Age Group, Sherry Bellovin was the 2017 Club Champion in the Women’s 70-74 Age Group, Glenn Morse was the 2017 Club Champion in the Men’s 65-69 Age Group and John Stauber was the 2017 Club Champion in the Clydesdale 200-pound-plus Weight Division.